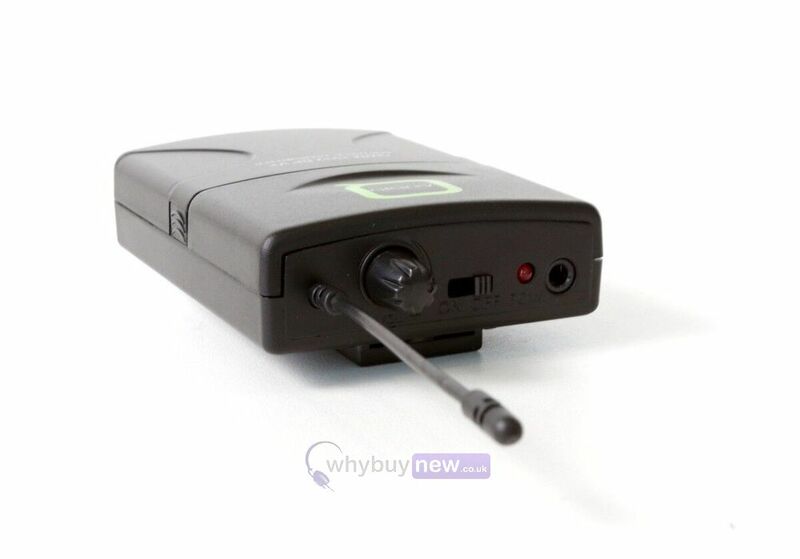 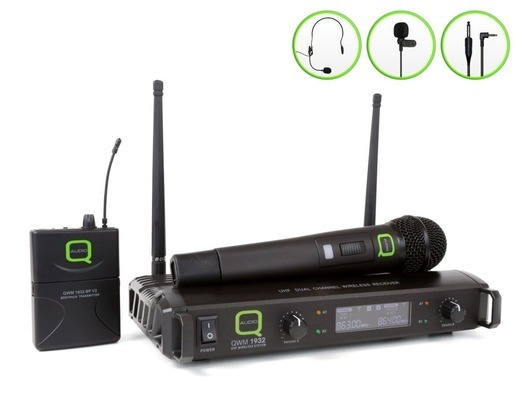 The Q-Audio QWM 1932 V2 HH + BP is a professional UHF wireless handheld and beltpack microphone system that comes with a handheld microphone, body pack transmitter and a dual channel receiver. 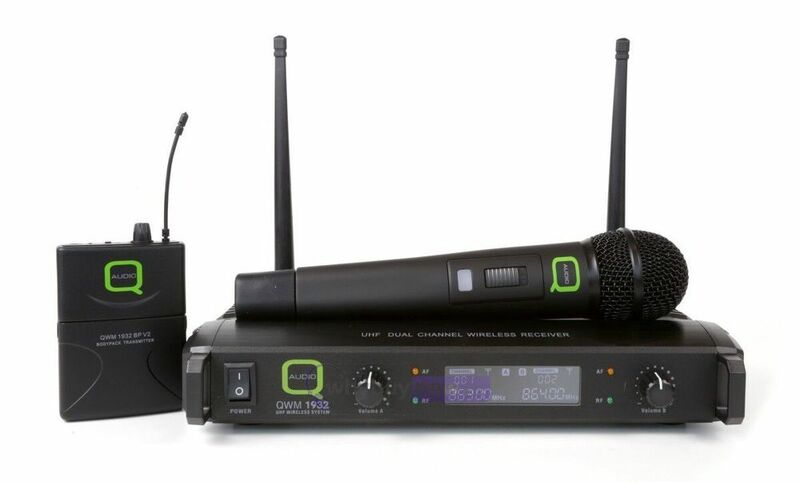 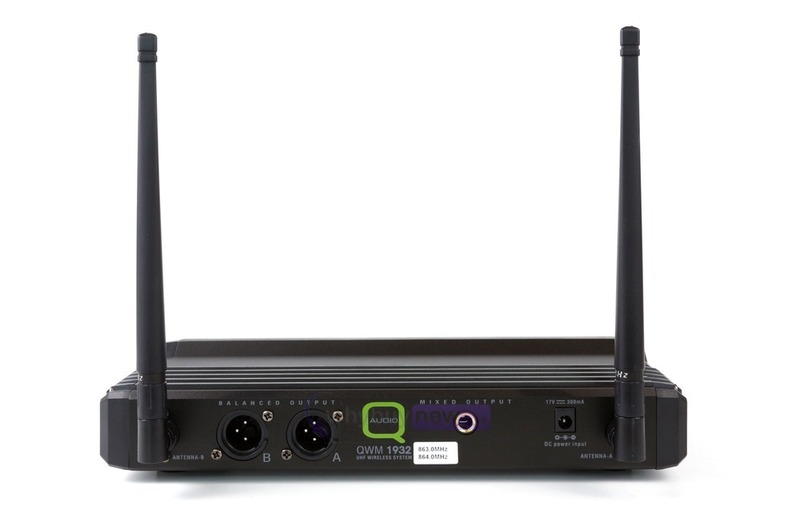 This multi-use system also includes 1 x headset microphone and 1 x lavalier microphone. This Q-Audio QWM 1932 V2 HH + BP microphone system is ideal for DJs, musicians, dance instructors, public speakers, karaoke and more.